the team requires to build a competitive, innovative and energy efficient cluster. St. Albans, United Kingdom (19th June, 2017) – The Edinburgh Parallel Computing Centre (EPCC) and Boston Limited are once again joining forces to enter the Student Cluster competition at ISC 2017 in Frankfurt Germany. The team, who are based at Edinburgh University, and have previously won the Linpack award in 2014, will this year be utilising a cluster made up of CoolIT Systems liquid cooled, customised Boston ANNA Pascal systems. The Boston ANNA Pascal is an industry leading GPU accelerated solution. A masterclass of server design and innovation, the solution includes a streamlined architecture which eliminates complex cabling and GPU pre-heat for maximum airflow, cooling and performance-per-watt. The high-density 1U server can support up to 4 Pascal GPU’s, making it the most optimal system for scalable GPU acceleration. 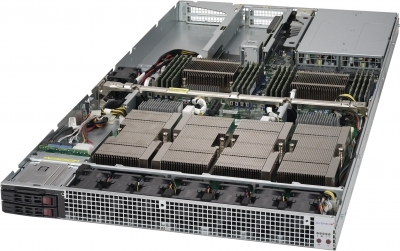 In addition to the 4 GPUs, the 1U server provides 2 x PCI-E Gen 3 slots for InfiniBand or Omnipath allowing strong RDMA performance. “Participating in the Student Cluster Competition can be greatly beneficial to students. With the help of EPCC, students are brought into contact with an industrial partner – Boston Limited – who are providing all the hardware and relevant support the team requires to build a competitive, innovative and energy efficient cluster. This press release was distributed by ResponseSource Press Release Wire on behalf of Boston in the following categories: Education & Human Resources, Manufacturing, Engineering & Energy, Computing & Telecoms, for more information visit https://pressreleasewire.responsesource.com/about.